Desire to see the world through the eyes of Italy's most iconic brand. 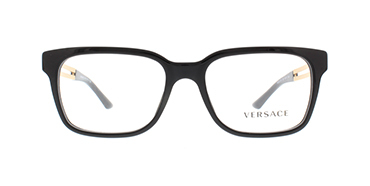 Then uncover the elegance of the Versace eyewear collection which mixes in confidence, sophistication and edge . Versace sunglasses are indeed worth investing in here’s three s Versace’s historic stamp of approval comes from it’s 1990’s design aesthetic that’s well known. 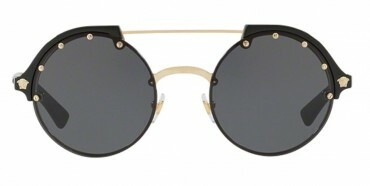 From the famous Medusa gold/silver accents on each side, to the embellished frames. With Donatella Versace leading as creative director gave the brand a modern yet vivacious look. Revealing an array of statement styles fit to unleash a sense of luxury. Versace signature sunglasses ranges from your everyday round sunglasses, the sleekness of a cat-eye, to your trip around the world aviators. Their handcrafted Italian eyewear gives off a bold street style look that’s fashionable yet daring. For years we’ve love their iconic fashion shows yet their luxury eyewear speaks for itself.